Poland has detained an employee of the Chinese electronics giant Huawei along with a former Polish security official on suspected spying charges, in what appears to be an extension of US-fueled security fears about the telecom company. Polish security services spokesman Stanislaw Zaryn announced the arrest on Friday, stating that the country's Internal Security Agency (ISA) had arrested the Chinese citizen and a former security official on January 8. The men were likely to remain in custody for at least three months, he added. Despite widespread western press reports tying the arrests to Huawei’s involvement in espionage activities on behalf of Beijing, the Polish spokesman was cited in a Reuters report as insisting that the spying charges were related to individual actions and not directly connected with the international Chinese corporation. “This matter has to do with his actions, it doesn’t have anything to do with the company he works for,” Zaryn said of the Chinese detainee as quoted in the report. The report further cited “a person with knowledge of the matter” as identifying the detained Huawei employee as Wang Weijing, adding that he had been arrested but not charged. It also pointed to Wang's LinkedIn profile, which confirmed he had worked for Huawei’s Polish division since 2011 and previously served as attaché to the Chinese General Consul in the city of Gdansk from 2006-2011. Polish public TV channel TVP also identified the Polish detainee as a former ISA officer, adding that the country’s security services had searched the offices of his current employer, telecom firm Orange Polska. It further reported that Huawei’s local offices were also searched. Huawei Technologies, the world’s largest maker of telecommunications equipment, faces intense scrutiny in the West over its relationship with the Chinese government and US-led allegations that its equipment could be used by Beijing for spying. Even though no evidence of spying activities has been produced publicly and the company has repeatedly denied such claims, the allegations have led several Western governments to restrict Huawei’s access to their national markets. US-allied countries such as Australia, New Zealand and Japan have also followed Washington’s efforts against Huawei, citing security concerns. Norway also announced on Wednesday that it was considering whether to join other Western governments in excluding Huawei from building part of the European country’s new 5G telecom network. The development came after Canadian authorities arrested Huawei’s finance chief Meng Wanzhou last month at the behest of American authorities and as part of a purported probe into alleged violations of US trade sanctions, which has nothing to do with claims of spying concerns. 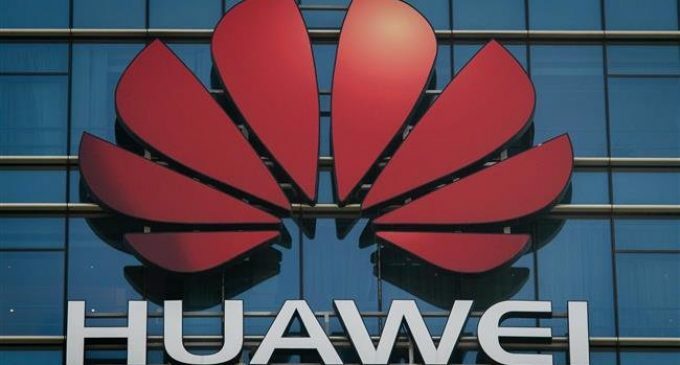 China has protested the arrest in Canada of the Chinese chief financial officer of telecom giant Huawei on charge of violating the US sanctions on Iran. Canada's arrest of Wanzhou has triggered major tensions with China amid Washington and Beijing broader trade war. The European Commission’s spokeswoman Maja Kocijancic said it was following reports about the arrests and would reach out to the Polish authorities for further information. Western security concerns about Huawei, and fellow Chinese telecom equipment firm ZTE Corp, revolve around China’s National Intelligence Law that went into effect in 2017. This law, Western governments argue, means that Huawei could be asked by the Chinese government to incorporate “backdoors” into their equipment that would allow Beijing access, for spying or sabotage purposes.